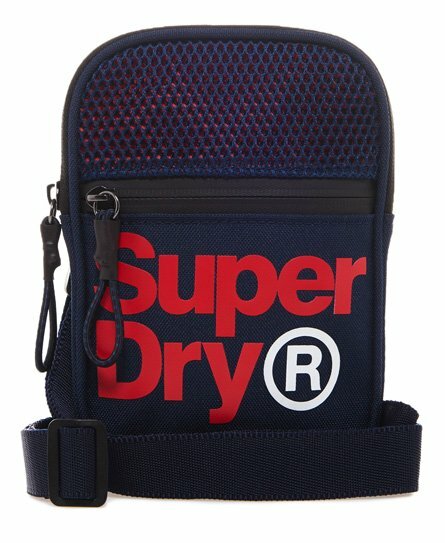 Superdry men’s Lineman sport pouch. The perfect accessory this summer, this pouch bag features a main, zip fastened compartment, a front zip fastened compartment and a removable, adjustable shoulder strap. The Lineman sport pouch also features mesh detailing and a rubberised Superdry logo on the front. The pouch bag is finished with a rubber Superdry logo badge on the back.